The Chinook Pledge to You! 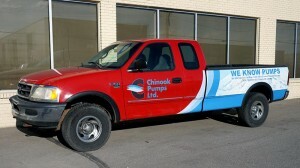 At Chinook Pumps, ALL of our pumps have manufacturers warranties behind them as well as being backed with our own warranty. This not only ensures that we are selling you a top quality product, but this also allows us to offer you a Full 1 Year Parts & Labor* warranty on our Pumps as well as our Custom Manufactured Products. Returns may be subject to 25% restocking charge. No return on electrical products. Warranty void where application or installation is not according to engineered specifications for the product. All warranty claims must be accompanied with invoice. Not responsible for goods left for 30 days. If you have any questions about any of the above, do not hesitate to ask questions of our team prior to purchase. If you have any questions about our Warranty & Refund Policies, please call or contact us at (403) 243-3310 or Toll Free at 1.800.784-4324.